A simple science investigation to explore friction at work in tennis and shoe design. Does practice make perfect? Combine maths and tennis in this simple stats investigation. Explore tennis by creating a multimedia advertising campaign. 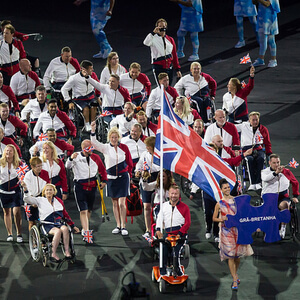 An assembly or classroom presentation on personal and Paralympic achievements. Explore different cultures and create a new opening ceremony. A presentation to help your school learn all about the Sochi 2014 Games. Design supporters' goods with this research and design activity. Quiz your class on Games stats with this interactive presentation. Get Set to discover Rio! Explore Brazil and Rio 2016 with this Geography investigation.